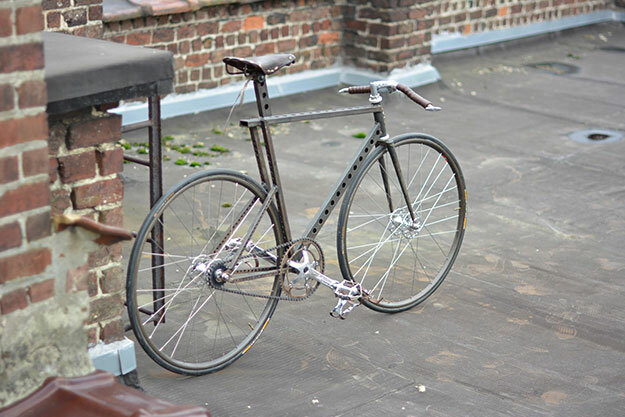 The spirit of ingenuity and engineering is not dead in Belgium, as Antoine Hotermans illustrates with this homemade frame. 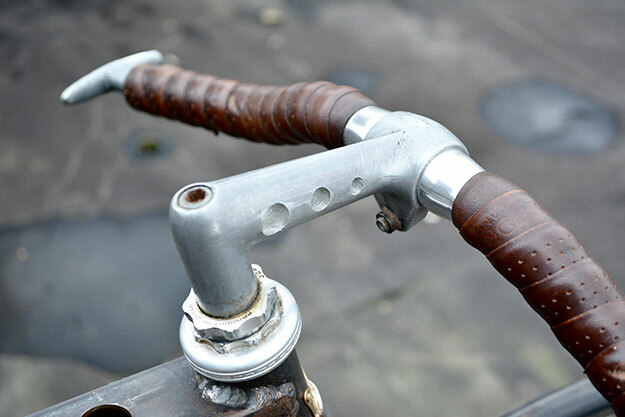 Viewed as a collection of individual parts, it may seem a little rough around the edges but as a whole, it’s a gritty, industrial machine from the streets of Brussels. 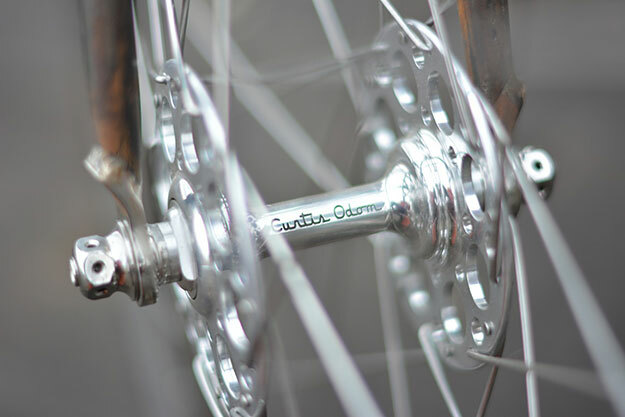 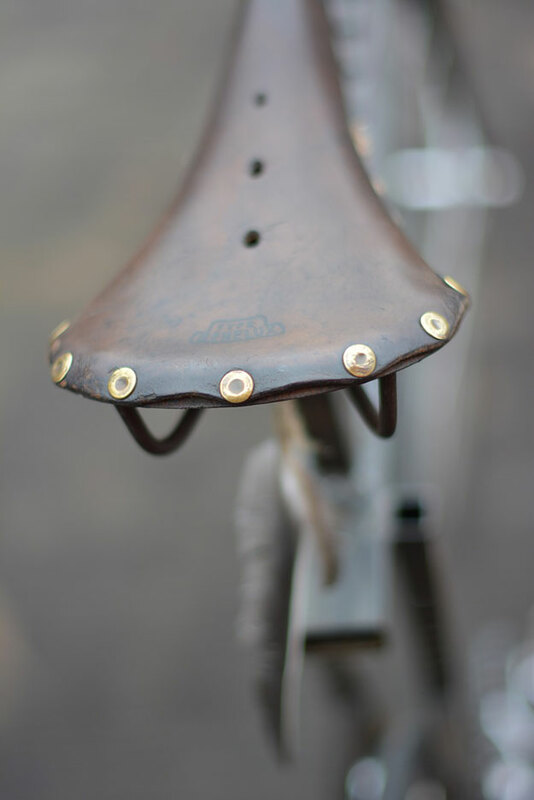 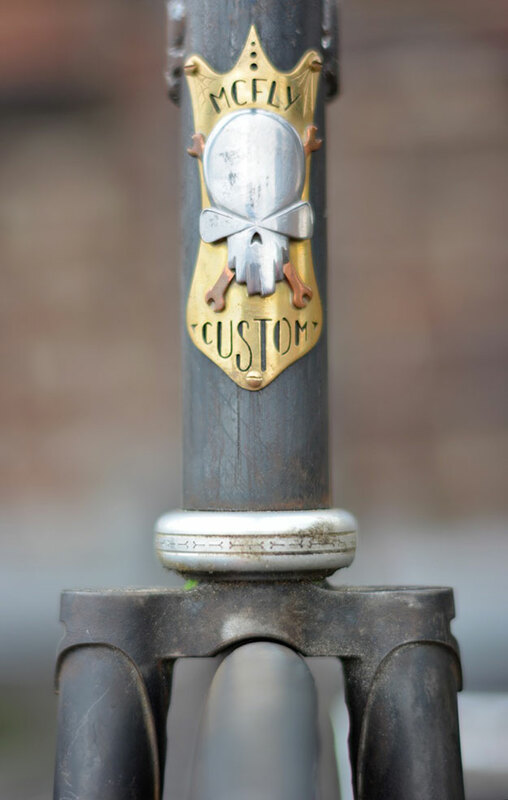 Antoine works with both bicycles and motorcycles in his spare time under the moniker of Mcfly Custom. 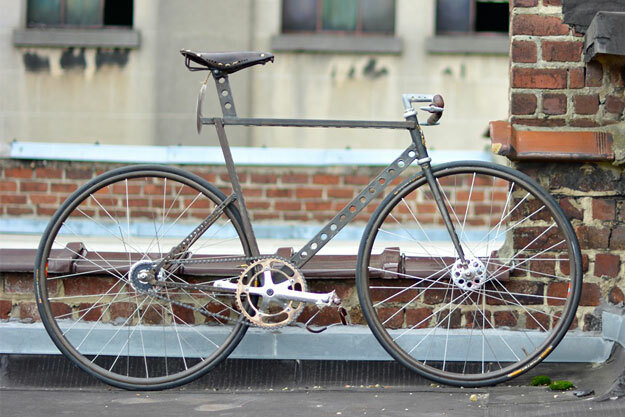 As you’d expect for a city founded in 979 A.D., there are plenty of outdated or discarded frames to be found as donor bikes, which Antoine will welcome into his workshop with open arms. 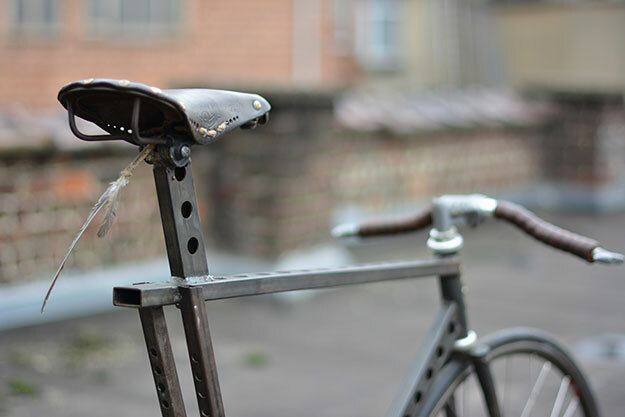 His Prototype, though, is a ‘new’ fabrication: steel sections were drilled and brazed into a ‘track’ frame and assembled with vintage parts, including bonnet handles from a Citröen 2CV which double as bar ends. 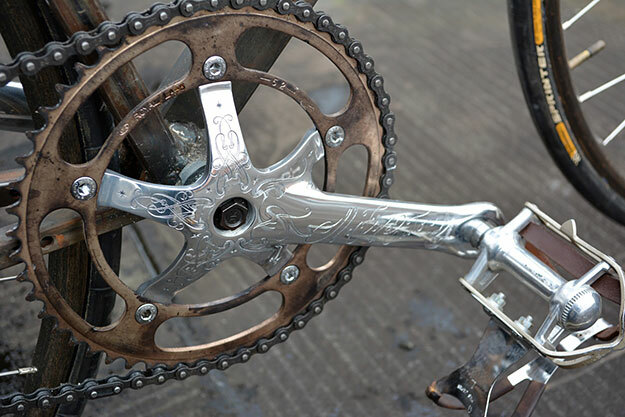 Stained Ghisallo rims, an Ideale saddle and engraced Campagnolo cranks complete the picture.